I had a few hiccups when I ordered, like the plants weren't wrapped good but they all made it and are doing good. Thank you and can't wait to order again. Very different from my other plants as far as care so even though I'm tempted to order more I'm holding off until I make sure I do good with it! it arrived as a good size for a seedling. I prefer more color than what I received and as shown in the photo. However they are nice plants. Got my ferns in but some were kinda wilted but shipping was fast. 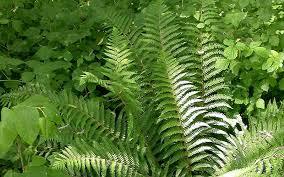 Southern Shield Ferns are a sturdy mid-sized fern, which is simple to grow. 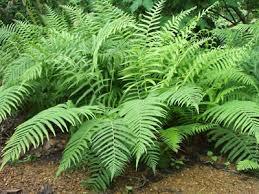 Shield Ferns are similar to most ferns in that they seem to grow best in moist, shaded areas. This fern does particularly well in the Southeast, as this is its native habitat in North America. It is an excellent option for groundcover in relatively poor, moist soils beneath shade trees. Shield Ferns have particularly elegant fronds with broader and thicker leaves than many other ferns in its size category. This fern will typically die down somewhat in winter and then grow back during the spring. There is something mystical about this lovely green frilly fern. It loves to peek out of the shady part of your garden and makes an excellent ground cover in places where many plants will not grow. It adds a sense of coolness on even the hottest summer day. The frilly fronds give your garden an airy feel that few other plants provide. If you have a water feature on your property, this plant will give it a finished natural border. The Southern Shield Fern changes its colors in the fall after the first hard frost. The fronds turn a cinnamon brown and look lovely when the frost coats them. It goes by several names including Southern Wood fern and Kunth's Maiden fern. Southern Shield Fern roots form clumps or balls, that can be easily divided. It grows and spreads quickly to provide greenery if you have a wooded area on your property. It also grows well on steep hillsides. Once it is settled into the ground, the Southern Shield Fern does not require much maintenance except culling and some watering if there is a long dry spell. This Flordia native has become a favorite filler for shade gardens and creek banks. The Shield Fern plant is a wonderfully pleasant plant that will bring a fair amount of shade to your garden. A complete looking garden is healthier for the plants, as well as more pleasing to the eye. If you are looking to create a softer, more relaxed, and more elegant garden, like an English garden, then consider this fern in your garden. English gardens are known for being fully rounded aesthetically. This is because accent plants are planted around the bright, vibrant flowers. Southern Shield Fern are perfect accent plants. This sturdy fern is perfect to complement your other plants and provide shade to delicate flowers. You can also plant this fern around the border of your garden to give a beautiful finish to your home. The Shield Fern does not bloom with flowers, but it does stretch horizontally to provide a nice amount of coverage to any large area. For care, this lovely plant needs full shade and weekly watering. Whether you are an avid gardener, or just starting out, this fern plant will make a great addition to your garden. Southern Shield Fern reflects the sturdiness and delicate beauty of raw nature.